Paragraph | What is a Paragraph? A paragraph is a distinct section of writing covering one topic. A paragraph will usually contain more than one sentence. The "perfect paragraph" will start with a topic sentence. It will have detail sentences in the middle and end with a concluding sentence. It will only cover one topic from start to finish. 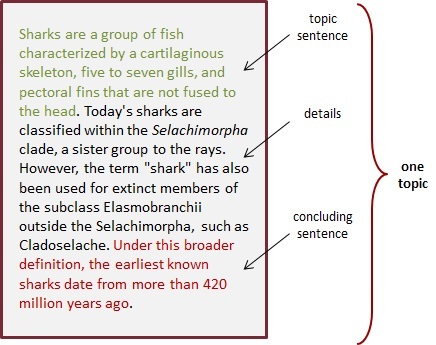 The length of a paragraph is supposed to be determined by the topic, but often writers will create a paragraph simply to ensure they're not presenting too much text in one chunk. "I am only one, only one, only one. Only one being, one at the same time. Not two, not three, only one. Only one life to live, only sixty minutes in one hour. Only one pair of eyes. Only one brain. Only one being. Being only one, having only one pair of eyes, having only one time, having only one life, I cannot read your M.S. three or four times. Not even one time. Only one look, only one look is enough. Hardly one copy would sell here. Hardly one. Hardly one. "Many thanks. I am returning the M.S. by registered post. Only one M.S. by one post. 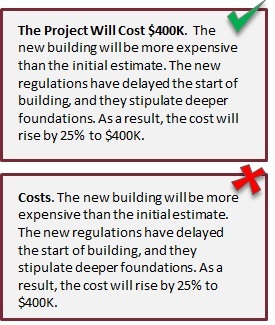 In business writing, paragraphs are often given summarizing titles (usually in bold or underlined). Their purpose is to assist busy executives with skim-reading. Such titles should not be single words. This is a tip from our book How To Get Your Own Way. A long text divided into bite-sized topics (i.e., paragraphs) is a far less daunting prospect for readers than an unbroken lengthy text. The length of a paragraph is determined by the topic, not the need to divide text into palatable chunks. However, some writers will divide a long single-topic paragraph into more than one paragraph because they feel that the aesthetics of similar-sized paragraphs or the need to protect their readers from lengthy texts outweighs the one-topic-one-paragraph ruling. Dividing up a "single" paragraph into two or more smaller ones is a common practice for online texts.